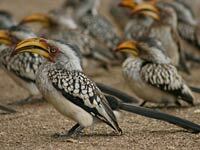 Welcome to the page of the Yellow-billed hornbill. 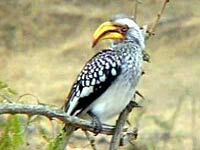 What does a Yellow-billed hornbill look like? 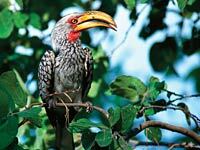 Where does the Yellow-billed hornbill live? 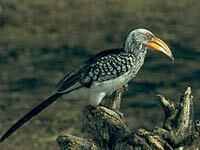 What does a Yellow-billed hornbill eat? 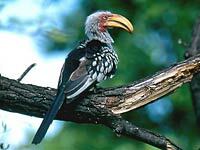 What is special about the Yellow-billed hornbill? In the mean time take a look at the Yellow-billed hornbill video and download the cool Yellow-billed hornbill wallpapers and coloring pages. Download free Yellow-billed hornbill wallpapers, click on the image to open the large version. Print free Yellow-billed hornbill coloring pages, click on the image to open the large version.